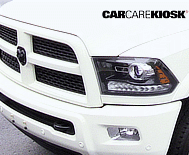 Ram is the division of Chrysler Fiat SpA that produces pickup trucks and commercial vans. 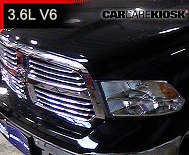 The brand was formerly a model line of Dodge (eg: Dodge Ram 1500, Dodge Ram 2500, 3500, etc. ), but now is a standalone brand. 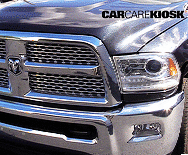 Dodge began producing Ram trucks in the 1980s to compete with Ford and Chevrolet. In 1994, Dodge redesigned the Ram to look like a semi-truck and it was a sales success when it debuted. 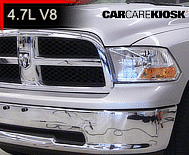 The Ram trucks were redesigned again in 2002 and 2009, each evolving the 18 wheeler theme. 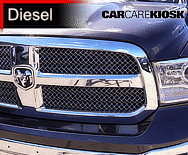 The larger Ram 2500 and 3500 Rams feature a turbo diesel engine from Cummins and the Ram 1500 offers a turbo-diesel made by Fiat. 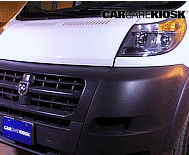 With the newer Promaster van, which is based on the Citroen C25, and the Tradesman, based on the Caravan, Ram offers a lineup that is attractive to many commercial customers.